Does this imply that they’re eating each other,or is someone(likely BuniDad)partially eating chips and putting them back in the bag? 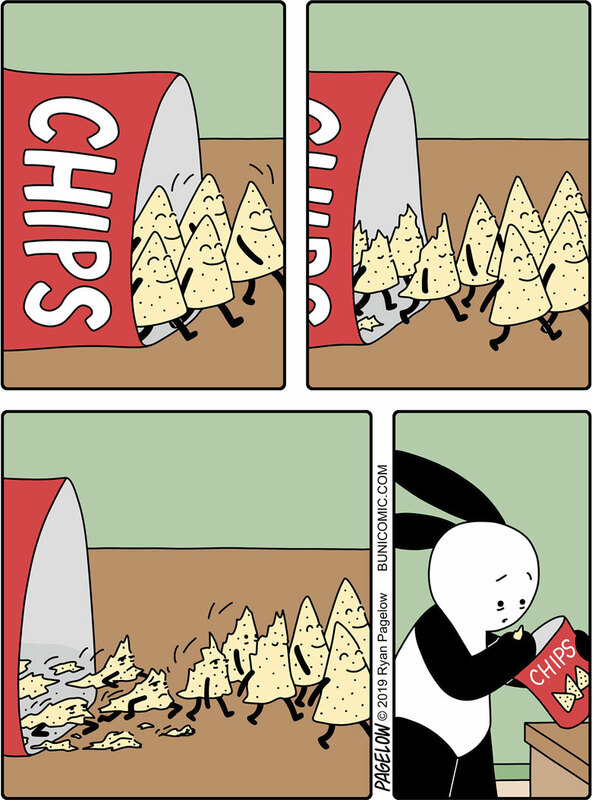 Even before I saw the last panel, I knew what the artist was getting at: When you reach in and pull out small, ragged chips/crisps, you know you’re getting to the end of the bag. And even if there are still a lot of chips left, you know that the ones that come after are just going to come out in sorrier and sorrier shape. Good one, Ryan! 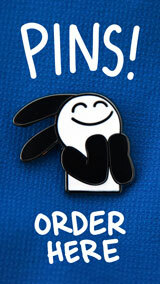 Such a witty way to portray a common occurrence in our lives.